A team of researchers of the Solar Energy Institute (IES) at the Universidad Politécnica de Madrid (UPM) has developed a model that allows us to predict the energy production of photovoltaic systems starting from minimum meteorological information. This model has been integrated in a simulation programme of photovoltaic systems and has shown to be useful for research and educational purposes and for professionals. Recently, the researchers have made this model available for the general public with a version for Internet called SÍSIFO that simulates systems connected to the network. Today, the most important application of photovoltaics is the production of energy through photovoltaic systems connected to an electric network, whose power can vary from a few kilowatts -for small systems installed in houses or buildings- to various hundreds of megawatts of large photovoltaic plants. The prediction of the energy produced by the systems is made at the beginning of the projects in order to optimize their design, maximize the production and assess their economic viability. For these purposes, the photovoltaic engineers use simulation programmes that require, as input data, time series of solar radiation and ambient temperature from various sources (for example state meteorological agencies or satellite databases). However, these time series are not always available for the site of a project and it is needed to turn to the usage of synthetic series (artificial) that are produced from a reduced set of meteorological data. The IES-UPM researchers have proposed a model that allows us to predict the production of energy of a photovoltaic system with only two out of twelve monthly values of the solar radiation: the Linke turbidity (a parameter that indicates how transparent the atmosphere is) and the ambient temperature. The model has been compared with time series from over 200 weather stations and the differences found are less than 2% what means an excellent approach taking into account the little amount of data. This model includes the simulation programme of IESPRO photovoltaic systems, developed by the Photovoltaic Systems Group of IES-UPM for the last 10 years. This programme, written in MatLab© programming language, is used not only for research purposes but also for professionals usage and education. 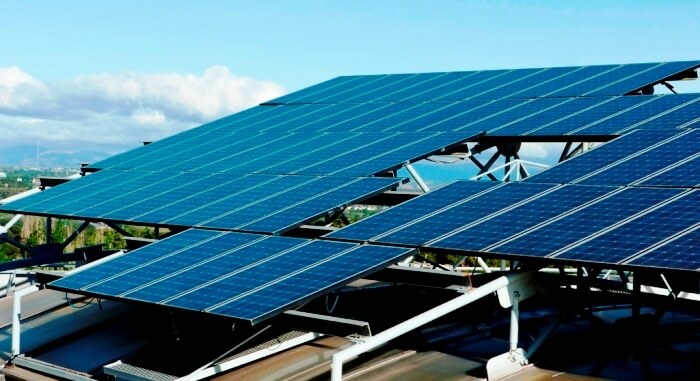 IESPRO simulates systems with photovoltaic generators of diverse technologies assembled on static structures (located on the ground or roof) or equipped with solar tracking and with the possibility of back-tracking, a monitoring strategy that consists on stopping pointing to the sun in order to avoid the mutual shadows between followers. IESPRO simulates with data series from any time resolution (between seconds and hours) and any length, thus the programme can be used, for example, to predict the instantaneous power generated by the photovoltaic system in real time or its energy performance in the medium and long term. Recently, IESPRO has been made available for the general public with an Internet version called SISIFO through the website www.sisifo.info. SISIFO is free software, this allows users to download the source code, written in PHP language, and includes all the models and algorithms. So far SISIFO only simulates systems connected to the network, but the researchers say “in a future, user will be able to simulate other photovoltaic applications that are now available on IESPRO, such as water pumping systems, photovoltaic-diesel hybrid systems, ventilation and air conditioning systems, or autonomous systems for the electrical supply in isolated places of the network”.